The Nile, one of many world’s great rivers, is almost certainly an object of fascination and obsession. From Alexander the Great and Nero, to Victorian adventurers David Livingstone, John Hanning Speke, and Henry Morton Stanley, the river has seduced men and led them into wild adventures. English writer, photographer, and explorer Levison Wood is only the latest. 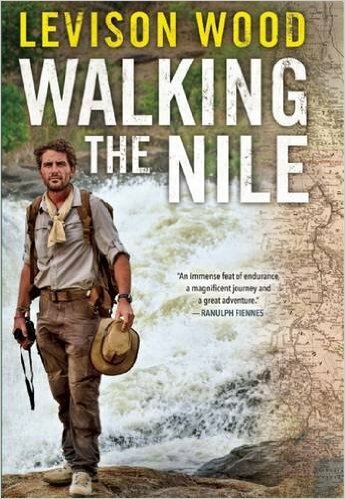 His Walking the Nile is really a captivating account of any remarkable and unparalleled Nile journey. Starting in November 2013 within a forest in Rwanda, in which a modest spring spouts a trickle of clear, cold water, Wood set forth on foot, seeking to become the first person just to walk the entire length in the fabled river. He followed the Nile for nine months, over 4,000 miles, through six nations—Rwanda, Tanzania, Uganda, South Sudan, the Republic of Sudan, and Egypt—to the Mediterranean coast. Like his predecessors, Wood camped within the wild, foraged for food, and trudged through rainforest, swamp, savannah, and desert, enduring life-threatening conditions each and every turn. He traversed sandstorms, flash floods, minefields, plus much more, learning to be a local celebrity in Uganda, in which a popular rap song was discussed him, and also a potential enemy on the state in South Sudan, where he found himself caught in the civil war and detained through the secret police. As well as recounting his triumphs, like escaping a charging hippo and staving off wild crocodiles, Wood’s gripping account recalls loosing Matthew Power, a journalist who died suddenly from heat exhaustion in their trek. As Wood walks on, often joined by local guides who help him to navigate languages and customs, Walking the Nile maps out African background contemporary life. An inimitable tale of survival, resilience, and sheer willpower, Walking the Nile is surely an inspiring chronicle connected with an epic journey on the lifeline of civilization in northern Africa. This entry was posted in Sports & Outdoors and tagged Walking the Nile.